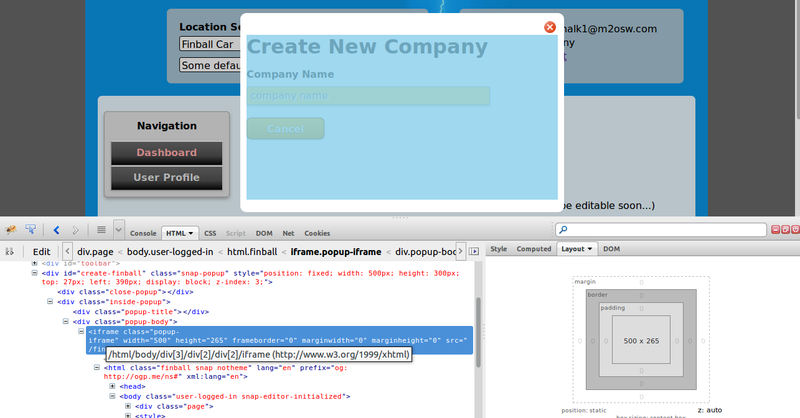 I create a popup using jQuery and when the popup includes a path, I include an IFRAME as the content of the popup. The code resizes the IFRAME to take the whole available space in the parent DIV of that IFRAME tag. b.append("<iframe class='popup-iframe' src='" + popup.path + "' frameborder='0'"
Again: I do not have any new-line or <br/> tags in that DOM. It's really just a DIV and a direct child IFRAME. That's it. Is there any reason for those extra pixels in the DIV? When I dynamically change the height of the IFRAME in Firebug, the DIV changes its height too: the IFRAME height + 4.